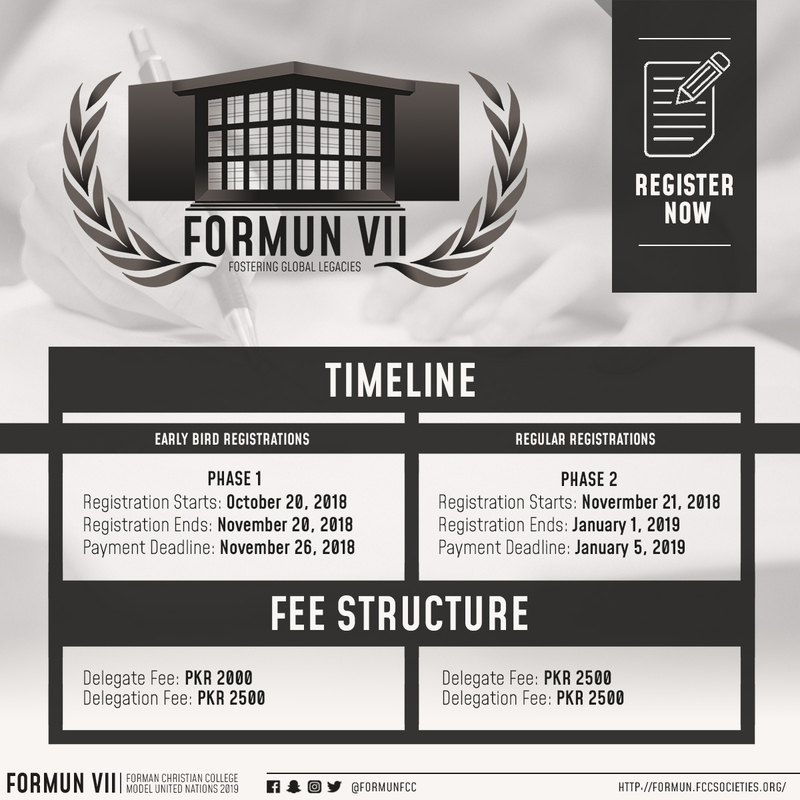 The Registrations for FORMUN VII have been opened. Register Now! Welcome to the official FORMUN Website! Forman Christian College University was founded by Dr. Charles Forman in 1864. It started off as the Rang Mahal School, Lahore and soon became the Forman Christian College. For many years, it was a leading institute and was known as a ‘gentleman’s college’. It was a pioneer in many educational achievements in the region. It was the first institute in the subcontinent to offer co-education in 1902, which was a big step in gender equality in education. FCCU has always produced notable scholars, intellectuals, and politicians such as Khan Bahadur and Pervez Musharraf. It gained university status in 2005 and has upheld its legacy of quality education and grooming. Over the years, Forman Christian College University has expanded rapidly and keeps embarking on new endeavors. Lahore is one of the largest cities of Pakistan, adorned with undertones of culture, lifestyle, and history. An influential city since the Mughal Era, Lahore manifests a juxtaposition of ancient culture and advanced modern-day society. The city of Lahore is a melting pot of lifestyle, religion, politics, and cuisine. Sometimes referred to as “Heart of Pakistan”, it houses many monuments of history, like the Lahore Fort built by Mughal Emperors, the Minar-e-Pakistan commemorating declaration of independence 1940, and the Metro Bus Service and tall glass buildings showcasing modern-day progress. In Lahore, you’ll find the gorgeously decorated canal, a myriad of top-notch educational institutes, the historically significant walled city, vast gardens soused in beauty and fragrance, state of the art shopping malls, shrines of celebrated sufi saints, and most popular, a diverse sense of taste whether in high-end restaurants or local street food. The people of Lahore are referred to as “zainda-dil” (genial) which can be observed on Mall Road where hearty discussions take place over a cup of tea, in Qaddafi Stadium as the crowd cheers for their cricket team, before Eid when every street is embellished with lights and décor, and on a Sunday morning when desi breakfast is devoured by a group of friends with lassi. Lahore exhibits a contrasting variation of golden traditions, varying culture, and a 21st century lifestyle. But despite of all the versatility, its bliss is eternal. Forman Christian College carries with it a legacy of 150 years and a rich history of magnanimous success which causes it to shine amongst other prestigious institutes of Pakistan. Having been home to a number of national leaders, writers and thinkers- Forman Christian College continues to hold true to its tradition of imparting knowledge whilst grooming its students. 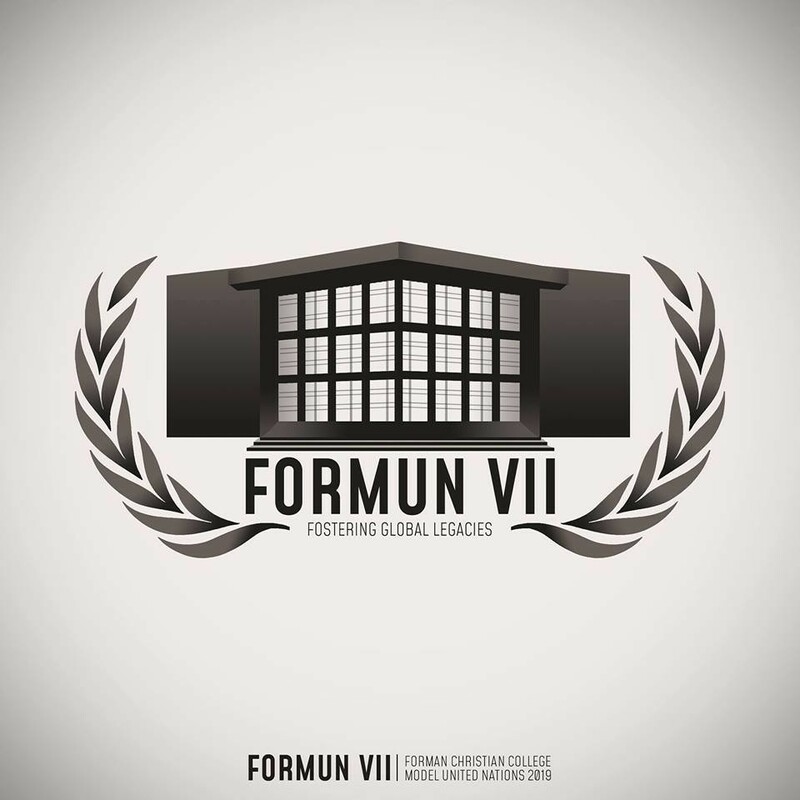 The college is home to Forman Model United Nations (FORMUN), an annual event that has been encouraging and propagating the art of debate, dialogue and diplomacy since its inception in 2012. The 4 Day event is designed to provide a platform for aspiring leaders who seek to inculcate forward thinking and innovation in their ideas. Delegates get to represent member states of the UN or become a part of customized committees with challenging debate topics or crises, all crafted to polish diplomatic abilities. The work of the UN reaches every corner of the globe and we aim to do the same. From sustainable development to disarmament, from environment protection to good governance- FORMUN believes effective propagation of these ideas leads to practical implementation in the real world. Join us in making FORMUN an emblem of peacekeeping, a front runner in diplomacy and a safeguard of universal values.